Kraft Hockeyville 2018 winning community Lucan, Ontario to host NHL® pre-season game in Lucan Community Memorial Centre. 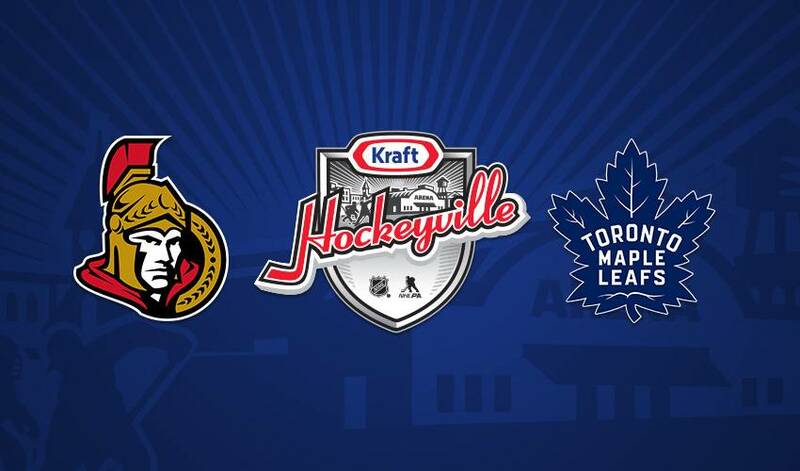 TORONTO, ON (May 28, 2018) – The 2018 Kraft Hockeyville NHL® Pre-Season game, a ‘Battle of Ontario’ match-up between the Toronto Maple Leafs® and Ottawa Senators®, will be played in Lucan Community Memorial Centre hosted by the winning community. More than nine million votes were cast in this year’s competition. On March 31, Lucan, Ontario was announced the winner of Kraft Hockeyville 2018 by Commissioner Gary Bettman during Sportsnet’s Hockey Night in Canada broadcast. As part of their grand prize win, Lucan will host an NHL® Pre-Season game, confirmed to be held in the Lucan Community Memorial Centre featuring the Toronto Maple Leafs, who are making their first appearance, and Ottawa Senators, who are making their fifth appearance. The game will air on Sportsnet. The town of Lucan will continue the Kraft Hockeyville tradition of hosting community- and hockey-related activities in the days leading up to the game. It will be a time of celebration and victory for the community. The Lucan Community Memorial Centre, which was nominated in Lucan’s bid for Kraft Hockeyville 2018, will receive $250,000 for upgrades to the arena and $10,000 worth of equipment from NHLPA’s Goals & Dreams as part of its grand prize. Kraft Hockeyville is a partnership with Kraft Heinz, the National Hockey League (NHL), and the National Hockey League Players' Association (NHLPA) to support local community arenas across Canada. Since its inception in 2006, Kraft Hockeyville has awarded $3.2 million to 77 communities across Canada and has celebrated 11 NHL® Pre-Season games in eight different provinces.